A horizontal panel design. 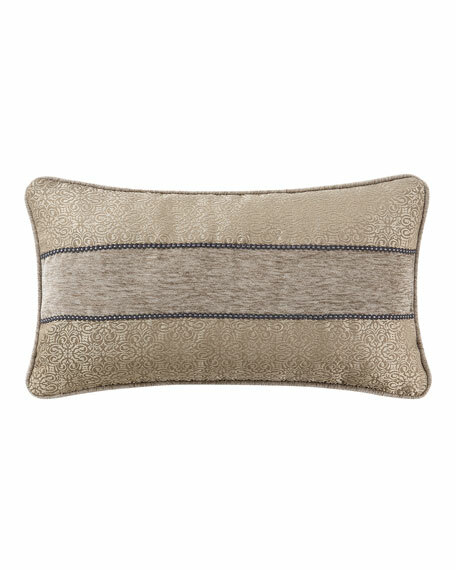 A beautiful champagne small-scaled medallion pattern on the top and bottom, with a centered textured chenille. Panels separated by a gold/gray gimp trim.